A fantastic long weekend of Step Dancing workshops with Frank McConnell at Pitcalzean House, Tain. 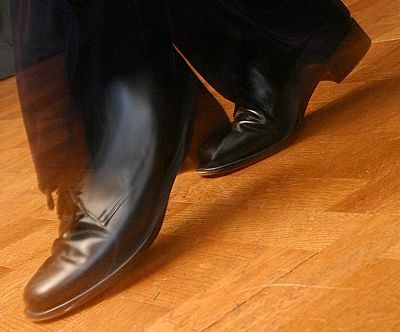 The format included a ‘few new steps’, a ‘Step Dance Amnesty which involved sharing favourite steps and looking at the root of those steps as well as time for putting steps into social dancing context. Workshops took place each morning, afternoon and evening, with a wee hoolie on Saturday night. "It was for me, singularly, the best step dancing weekend ever...."
"I thought the whole weekend was fantastic. It was wonderful to dance and generally spend time with so many like-minded people. Being able to devote so much time to dancing was unique for me and I really appreciated Frank's style of teaching." "It really was the perfect "storm" of teacher , participants, location and accommodation." Email office@planbcreative.org to be added to the mailing list for future step dancing events. In 2014 plan B ran Backstage Access, workshops that gave young people the chance to learn about sound and lighting in theatre. 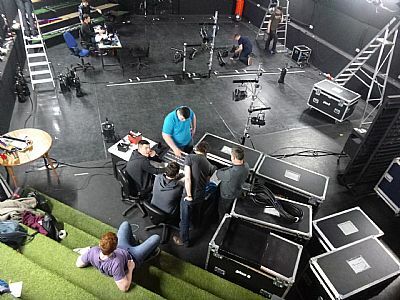 In April, Kevin Murray, who has worked for many years with the National Theatre of Scotland, instructed ten young people on the set up, control and safety of working with theatre lighting systems. By the end of three days each group had created a unique lighting sequence. In August, Graham Bodenham led another three day workshop, this time focussing on sound. A talented group learned how to set up different sound systems, add effects and work around common problems encountered during the set up of sound systems in the theatre.